Q: Jim tells Dr. Rawlins that he's never been to England. How can he be a precocious & proper English boy if he's never been there? Q: What is the name of the lullaby sung by Jim throughout the movie? Q: What's with the stadium filled with treasures? Survivng life when your world has been turned upside down. I saw this movie 17 years ago as a ten year old in the theater and saw it again for the first time since then last night on a TV movie channel. I have to say I'm almost ashamed that I forgot what a great movie this was...what a great movie it still is. The film contains parts very competently played by the then relatively un-knowns John Malkovic, Joey "Pants" and Ben Stiller. 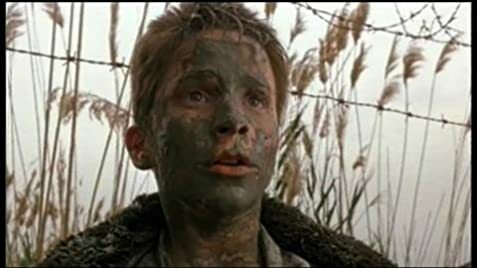 The lead was played, and very well done at that, by a then young actor Christian Bales (sp?). The acting in this movie is fantastic and the story line is is as rich as any other of the best movies I've seen. Following the trials and tribulations of a child from an affluent family separated from his parents in China after the Japanese invasion. This movie will make you angry, it will make you laugh, it will make you cry, it will frustrate the living daylights out of you and in the end you'll feel warm and fuzzy: but the hollow kind of warm and fuzzy that only comes after a very harrowing experience. If you don't like war movies don't worry!!! 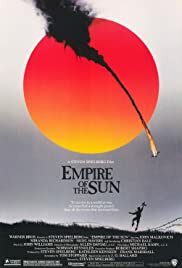 When you watch this film you'll see it's not as much of a war movie as it is a story of survival and the brutal realities of life when the world has been turned upside down. The movie really spoke to me partially b/c I was a young kid when I first saw it and the main character is also a young man. However, this movie also spoke to me on a much different, deeper level. Ever since I was child I was always fortunate/blessed enough to have my family along with everything I needed and most of what I wanted. This movie depicts what happens when all of those familiar things and creature comforts are taken away...it makes you ask yourself: What would I do in this situation? How would I react? A fantastic movie for almost all ages!! !